September is Clean-Up SA month. Everyone should recycle where they work, live or play, said Douw Steyn, Director: Sustainability at Plastics|SA and Chairman of the National Recycling Forum (NRF). Al packaging streams, as well as oil and e-waste recyclers, will use the week of 14 to 19 September to spread the message about the importance of looking after the environment and ensuring that everybody takes responsibility for recycling. “The only way forward, if we are going to improve the quality of the environment, is to get everybody involved,” Steyn says. 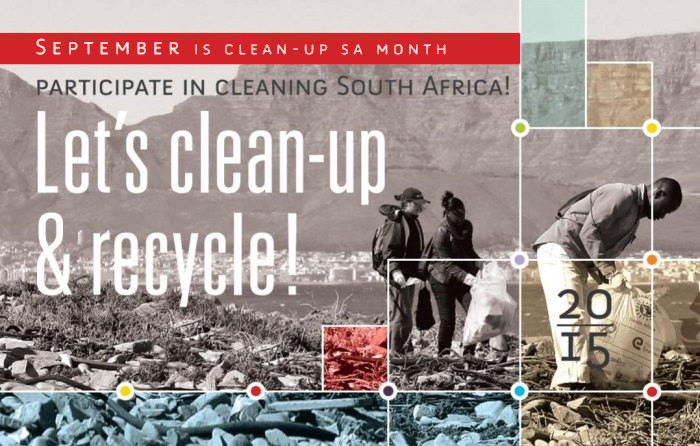 For the past 20 years, Plastics|SA (the mouthpiece of the local plastics industry), has been coordinating clean-up events around the country. “The first International Coastal Clean-Up was held in 1996, as an initiative of the plastics industry and KZN Wildlife to remove the most visible plastics litter from the coastal area. Since then, it has become an annual, countrywide event which is supported by the glass, cans, paper and board industries, as well as oil converters, recyclers, brand owners, retailers, Brand SA, KZN Wildlife, Tuffy Manufacturing, Pick n Pay, Garbie (East Rand Plastics) and the Department of Environmental Affairs (DEA)”, Steyn says. Between the 14th and the 19th of September, various clean-up projects will take place in cities, towns, communities and schools as individuals are encouraged to pay attention to the problem of waste around them, and get their friends, neighbours or colleagues involved with recycling. “Plastics|SA and our partners in this project will be sponsoring 250 000 bright yellow refuse bags which will be donated for clean-up projects around South Africa,” Steyn says. Highlights of this week will once again be National Recycling Day on Friday, 18 September 2015 and the annual International Coastal Clean-Up Day on Saturday, 19 September 2015. Concludes Steyn: “The local plastics industry has set itself an aspirational vision of Zero Plastics to Landfill by 2030. Mother Nature supplies us with the food we eat, the air we breathe, and the water we drink. 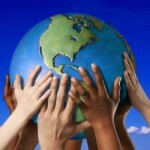 If our environment isn’t clean and healthy, neither are we. We therefor urge all South Africans to clean-up and recycle the environment in order to give future generations hope for a sustainable future”. Win a Samsung Galaxy Core Prime Smartphone! Take a “selfie” of yourself and your friends cleaning up and recycling in your environment. Upload or post the picture, a caption and #CleanUp #Recycle on the Plastics|SA Facebook page and get your friends to like and share your pic. We will announce weekly finalists in the run-up to the final week of September, when we will announce the winners of the Samsung Galaxy Core Prime Smartphone. Visit www.plasticsinfo.co.za for more information, competition rules and T&Cs. 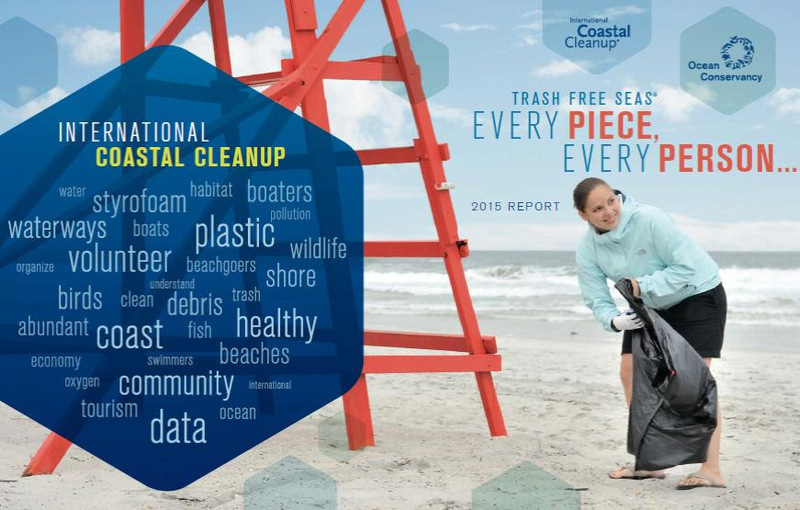 Thousands of South Africans are expected to once again participate in one of the world’s biggest volunteer efforts for ocean health, when the 30th International Coastal Clean-Up Day takes place between 09:00 and 12:00 on Saturday, 19 September 2015. Each year, thousands of kilograms of almost every imaginable type of waste is removed along the world’s shorelines, and South Africa is recognized as one of the leading participants in this clean-up initiative. During the 2014 ICC, South Africa had over 8500 volunteers participating in KZN and 14 000 along the Cape coastline. Click here to download the 2014 ICC report. 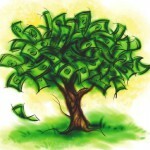 We work with E-waste and E-waste is such a big concern. And here in SA it is not really understood so well. People are not really being educated on the topic. The Government should really put more resources behind this issue. Send us a story to share your knowledge of ewaste?